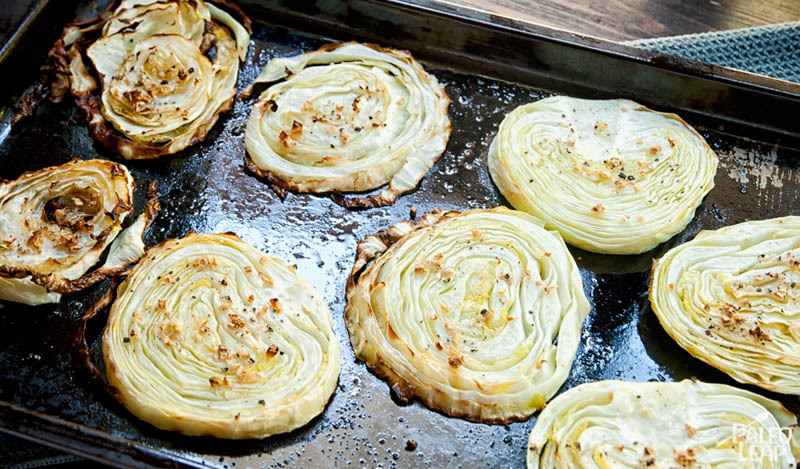 Oven Roasted Garlic Cabbage: I’ll admit, I am not a huge cabbage fan unless it’s St. Patrick’s Day and my dad is making corned beef and cabbage. But this is different. The crunchiness and the garlic make this an awesome paleo version of garlic bread. 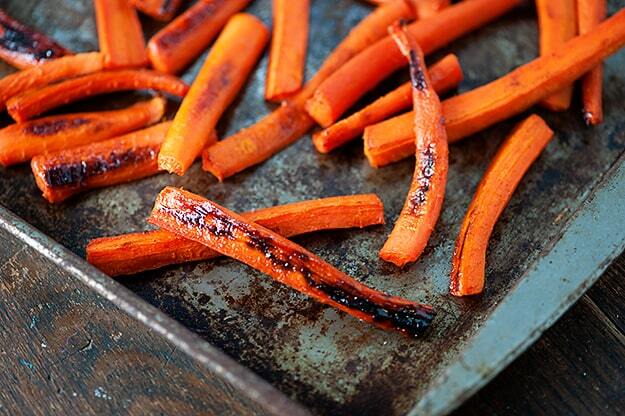 Spicy Maple Roasted Carrots: These are a game changer. You will not be missing the side dish of fries with these on your table. They are firm, sweet, and just enough spicy to give it a kick. 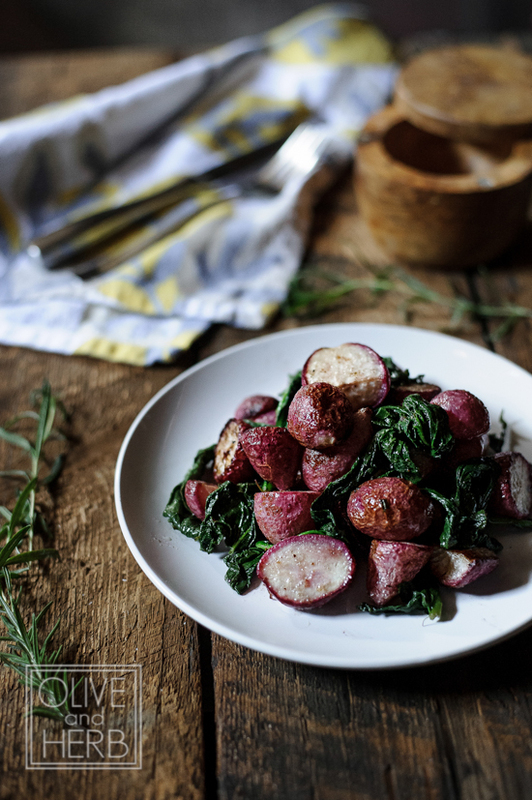 Roasted Radishes with Rosemary: I’ll be honest, before trying this I had never really given radishes much thought. But these are flavorful and delicious and also pack a nutritional punch. Definitely a compliment to almost any side dish. 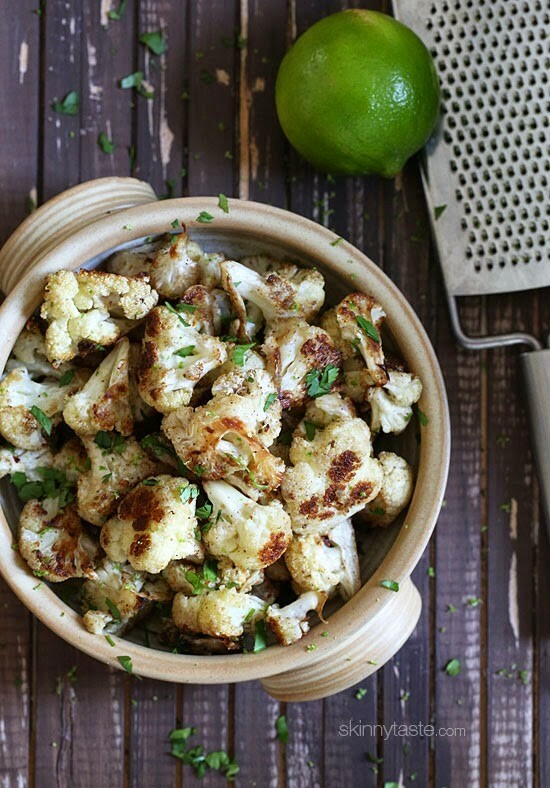 Cilantro-Lime Roasted Cauliflower: These is an awesome twist on a classic. The best part of cauliflower is just how versatile it is, and this is a great example. These come out soft and crunchy and a bit tangy. Roasted Broccoli with Soy Sauce and Sesame Seeds: I love Chinese food. Love it. This side dish is my new non-guilty go to because it’s quick, healthy, and so packed full of flavor. 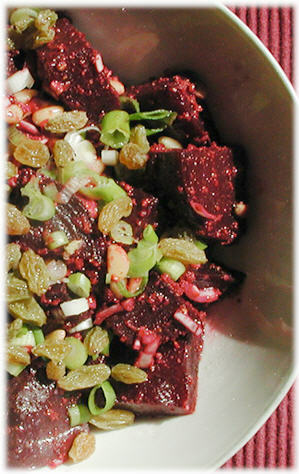 Ginger Beets with Orange Zest: My dad loves beets. I’m pretty sure you have to grow up with them to love them. At least until I tried this salad. It’s so tangy and full of flavor! 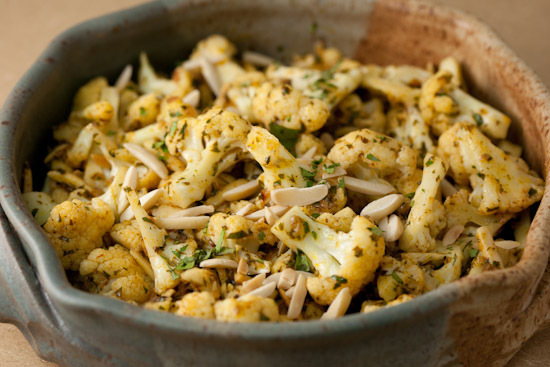 Steamed Cauliflower with Curry Butter and Toasted Almonds: This is another way to get that vitamin K in from the cauliflower without eating it raw. It has a great well rounded flavor from the curry butter, and a nice crunch from the toasted almonds. I ate if for dinner, forget the Mac ‘n Cheese man, this was perfect. 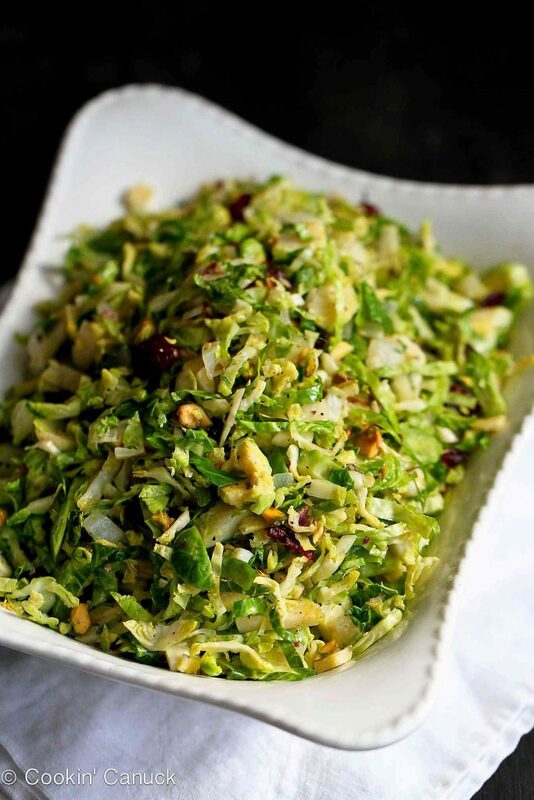 Shredded Brussel Sprouts with Pistachios, Cranberries, and Parmesan: This is another “side dish” that was so easy and yet so delicious that it took up 80% of my plate. Seriously. Crunchy, savory, sweet, it had it all. 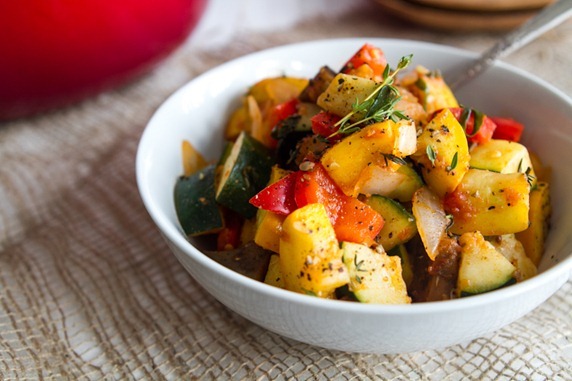 Ratatouille-Inspired Summer Dish: I’ve mentioned that I love to garden. And if you’re looking for some awesome veggies, I’d suggest checking out: DirectGardening. But I digress. You can definitely modify this dish to fit what you’ve got in your kitchen, but it is a perfect summer dish to compliment any main dish you make! 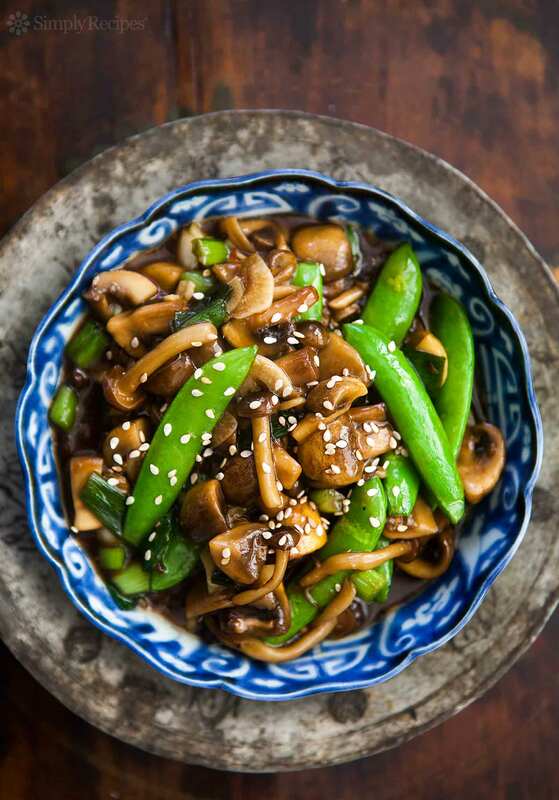 Mushroom Stir-Fry with Green Beans: I’ll admit it-I’m in an Asian phase. I love the way the flavors melt together. 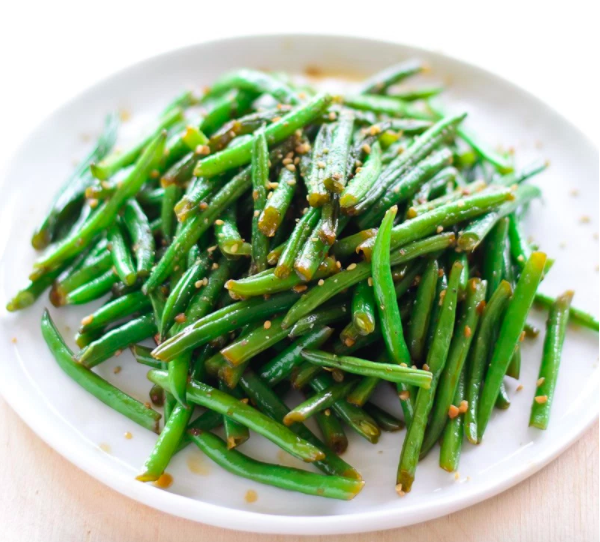 This easy side dish is no exception! It comes together quickly and is healthy to boot! I mean, just look at that picture! Can I say get in my belly fast enough? 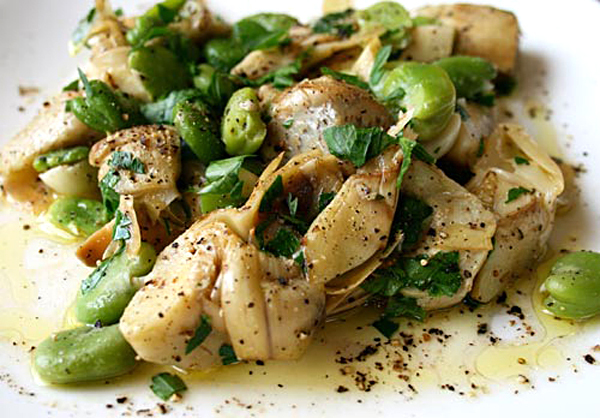 Artichokes and Fava Beans: Okay, so side note here. We had a gal from Italy live with us for a few years, and man, can I say I’m pretty sure that the Italians have discovered the secret to eternal youth? Because their diet consists mostly of pasta and veggies. And they may or may not all look like models. No joke. Side note over, this recipe is delicious! The fava beans have a soft and creamy texture while the artichokes provide a delicious bite. And there you have it! Twelve delicious side dishes that will jazz up any boring week night and make putting dinner on the table a little more fun. Want more recipes? Check out: Greatist for more additional recipes! 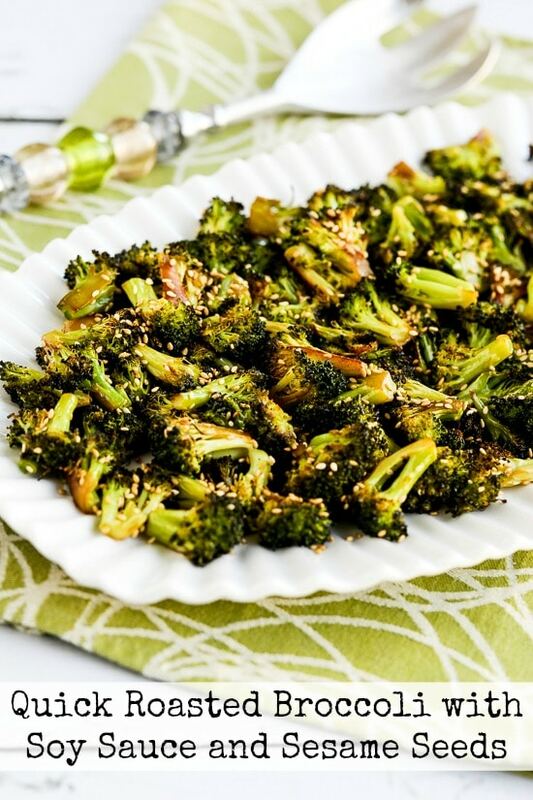 Thanks for the shout-out for my roasted broccoli recipe; that has been a big hit! Thank you for sharing it! My family loved it!